LanguageIs typically said to be governed by a group of unspoken rules: phonological, semantic, syntactic, pragmatic, prosodic, and idiosyncratic. These rules shape the way language is written, spoken, and interpreted.People create communication, not languages, phrases, or letters. Phonological rules describe the systematic relationship between sounds. They are responsible for determining what a symbol, or letter of the alphabet, sounds like. For example, the "gh" in the word "cough" creates an "f" sound in that particular word, whereas the same two letters remain silent in the word "although." 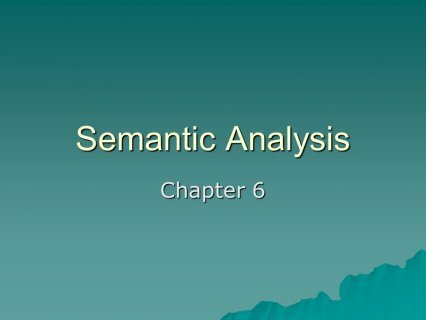 Semantics is the relationship between symbols and the things they refer to. Semantic rules are the agreed-upon definitions of words. These rules are specific to each language and to each group of symbols in the language. The word "syntax" means the study of the rules for the formation of grammatical sentences in a language. Therefore, syntactic rules are those rules used in communication to describe how things are organized or ordered. The order of words is very important. Without rules to govern how sentences are structured there would be no communication. In other words, there would be no understanding because there would be no common, basic form for everyone to rely on. Pragmatic rules are those rules used in social communication. They depend on the context of the situation. Pragmatics may include using languages for different purposes, changing language so that everyone within a group understands, or following important social rules. Pragmatics are important because they consider key cultural and social rules that govern relationships. Along with this, they also consider relationships already formed between people, as well as the type of language used in such situations. SWRL (Semantic Web Rule Language) is a proposal for a Semantic Web rules-language, combining sublanguages of the OWL Web Ontology Language (OWL DL and Lite) with those of the Rule Markup Language (Unary/Binary Datalog).